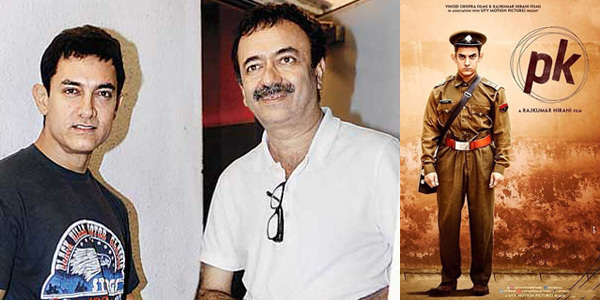 Raaga.com: PK film director Rajkumar Hirani survives lethal bike accident! PK film director Rajkumar Hirani survives lethal bike accident! Brilliant filmmaker Rajkumar Hirani was rushed to Mumbai’s famous Lilavati Hospital’s ICU section in early hours on Tuesday morning after he suffered severe injuries on his face and shoulder after skidding from a bike. Eminent Bollywood actor and filmmaker Aamir Khan, who has worked with Rajkumar Hirani in 3 IDIOTS and PK was the first to rush to the hospital and enquire about his health. Mean while Aamir Khan who met the filmmaker at Lilavati Hospital cleared all the rumors that were circulating in media and social network. “The accident happened in the wee hours on Tuesday morning when Raju was retuning with his staff member to his house. As the weather was wet and the roads slippery, the two-wheeler skidded on the Western Highway. Raju hurt one side of his body, and suffered a minor injury on his jaw,” informed Aamir Khan. Pacifying Raju Hirani’s fan Aamir Khan tweeted, "For all those concerned about Raju Hirani, I have just met him in hospital. He is doing fine, and will be discharged this evening."